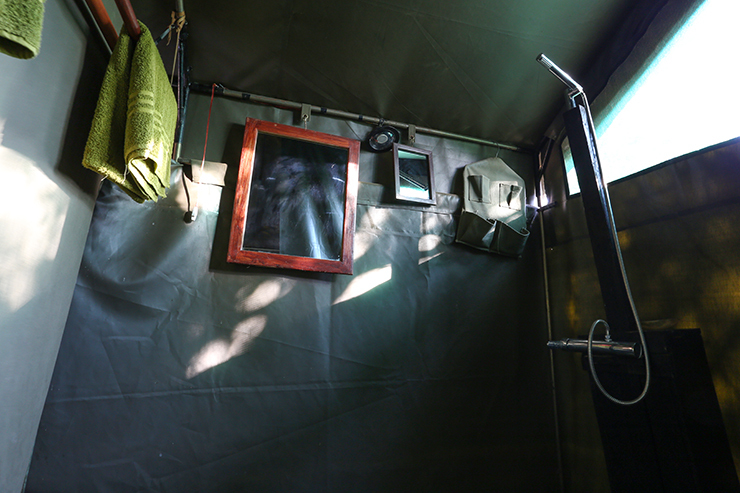 Most importantly – Does Julia’s River Camp and tent do what it’s supposed to do? 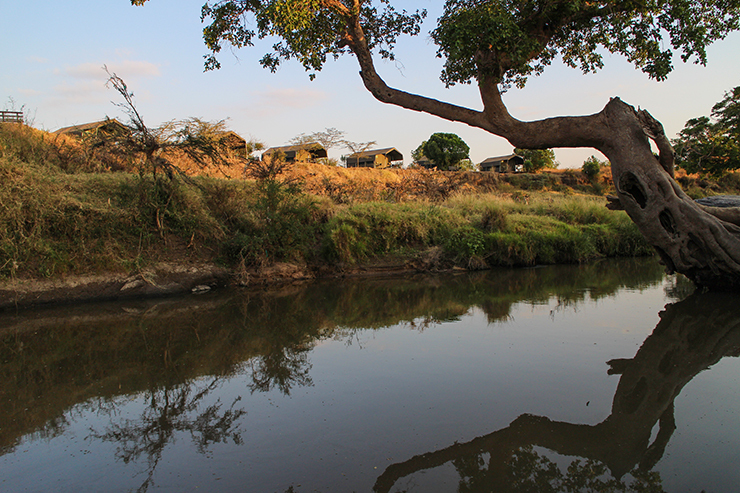 Yes – Julia’s River Camp is a glamping camp in Kenya’s Masai Mara, which offers simple but very comfortable accommodation, good food and friendly hospitality. 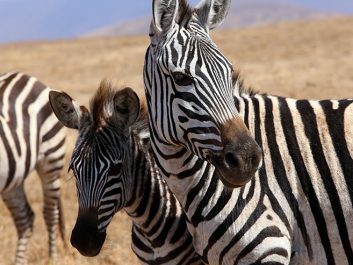 They also pride themselves on excellent game drives with experienced drivers allowing you to see the diverse and beautiful wildlife living in this special corner of the world. 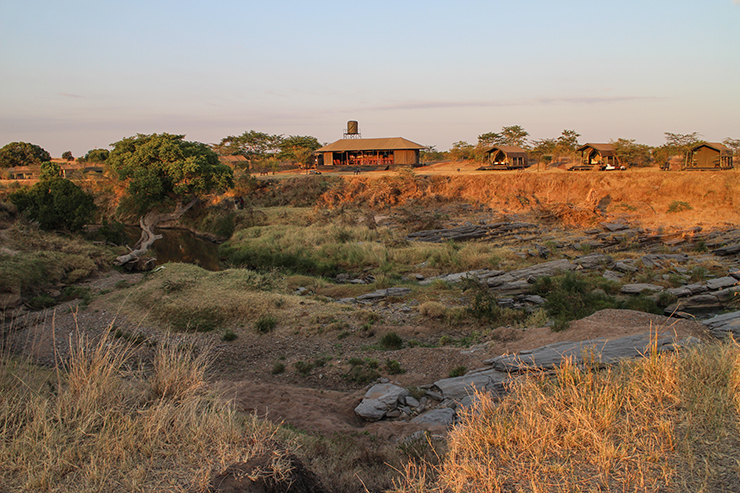 If you want evidence, you can read about our adventures with Julia’s River Camp exploring The Great Migration here, our lion encounters here and watching families of lions, cheetahs, elephants and warthogs here. How did we rate the experience before we stepped into the tent? Booking was easy and we had good email communication before we arrived. 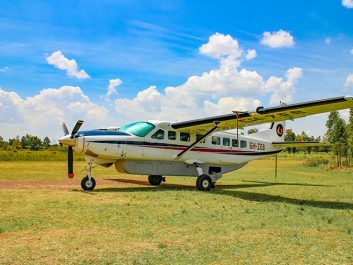 Julia’s River Camp helped us arrange flights into and out of the Masai Mara and ensured that they knew our full itinerary. Our driver and guide Eric was waiting for the plane to land with cool drinks ready. Within minutes of landing we were off on safari and in middle of The Great Migration. On arrival at the camp later that night, the camp manager Mr Musa, security and room stewards greeted us. After being assisted to the mess tent, and introductions were made, we enjoyed some very refreshing welcome drinks. 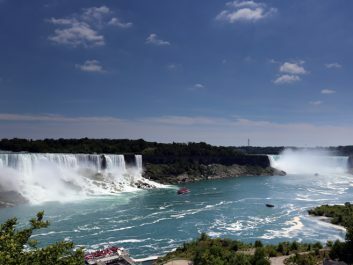 A great way to kick off the stay! 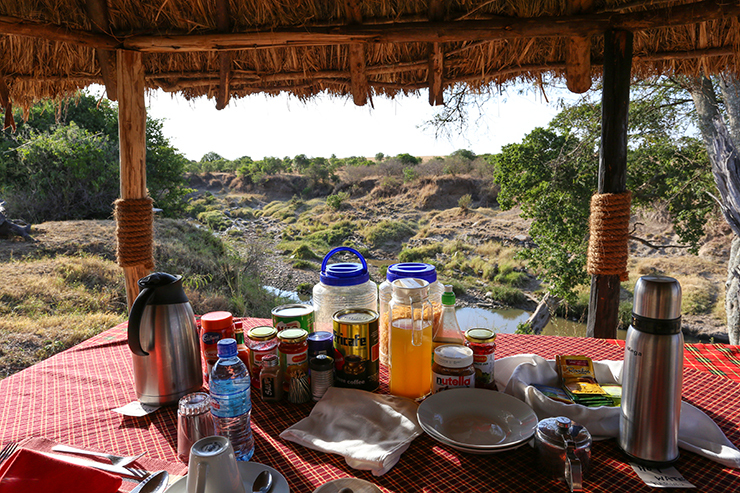 Breakfast – full breakfast overlooking the Talek River gorge: amazing! 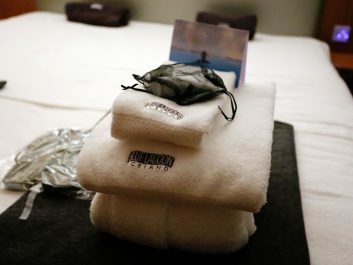 Comfy bed – king sized beds, warmed with hot water bottles: a lovely touch. Shower with decent water pressure – great rainfall shower! 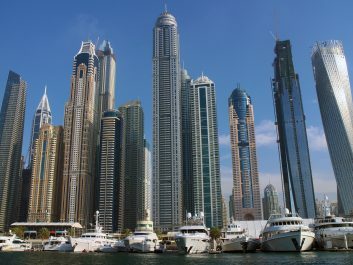 They also offer a fast laundry service which is essential when packing light. The attentive staff really makes Julia’s River Camp. 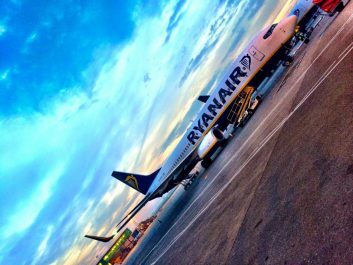 Warm, friendly and excited to meet new travellers and hear their stories. 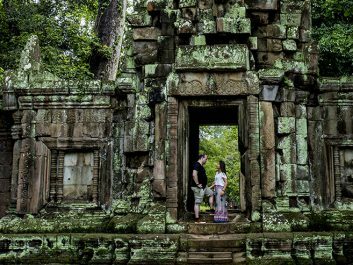 The camp receives a regular but not constant flow of group tours so by booking direct you might find that you have a section of the camp to yourself. The star of our stay was our driver Eric whose’ father was a safari guide and has now added another 20 years of experience himself of driving the Masai Mara. Eric was full of energy whether it was 3am or 8pm and had a supernatural ability to spot a lion hiding in the bush over half a mile away. 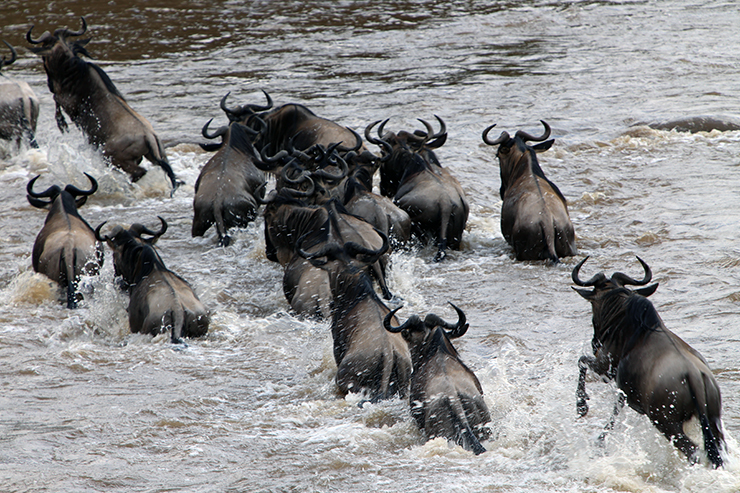 The Great Migration is on the doorstep of the camp from July to September with September the ideal time to visit. However, the camp is open all year round and you’ll still be able to see lions, elephants, cheetahs, leopards, giraffe and buffalo all year round. Does the camp and room make sense? The camp and tent are simple and well thought out. The room was spacious, with lots of places to put luggage and hang up clothes/towels to dry. The bathroom was functional with a lovely big shower area. 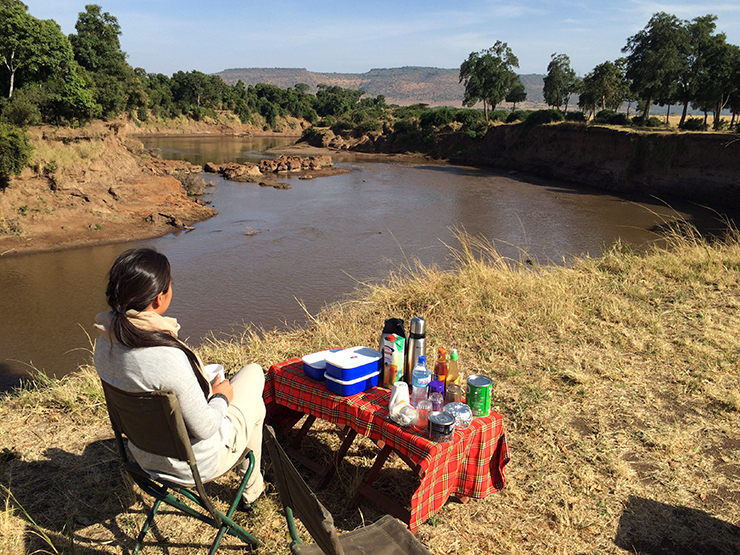 Julia’s River Camp is nestled in a horseshoe bend of the Talek River whose deep banks provide safety from the surrounding wildlife. This is a big bonus seeing as the biggest predators of the area are nocturnal and whilst you will want to stay as long as you can… you do want to get that flight home. Good, wholesome food, a pleasant surprise. Crop farming in the Masai Mara is not allowed so all food is imported from Nairobi. Despite this the fruit, veg and meat were all fresh and well cooked. Breakfast has everything covered with additional options of sausage, bacon, potatoes and omelettes made to order. Diners were 3-course affairs which started with spiced soups and local breads followed by wholesome mains including spiced beef and braised pork with vegetables and rice sides. Dessert was generally a fruit plate although due to the hearty portions you won’t need a big dessert. 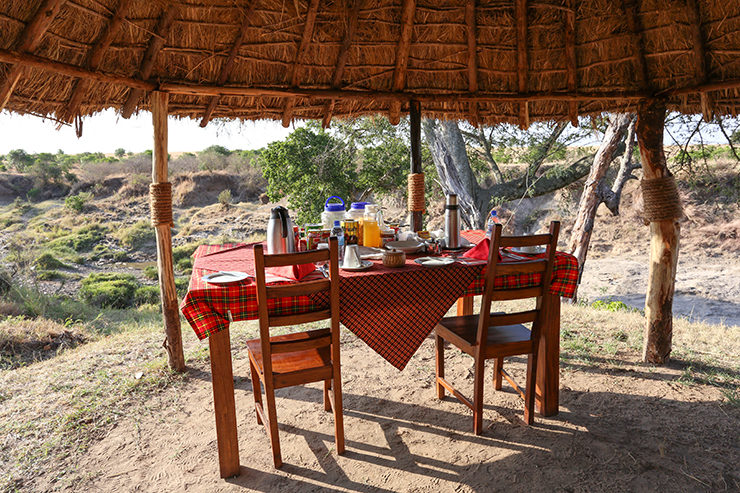 The camp offers a set menu on meals but was able to adapt well to our dietary requirements. 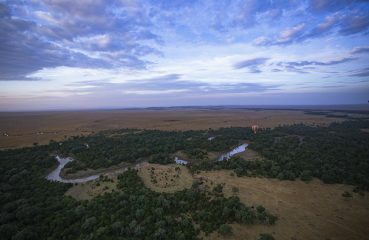 We would advise to take one of their provided packed lunches whilst on your safari to spend as much of the day exploring the Mara and increase your animal encounter experiences. Overall the food and dining experiences were certainly strengths of the camp. 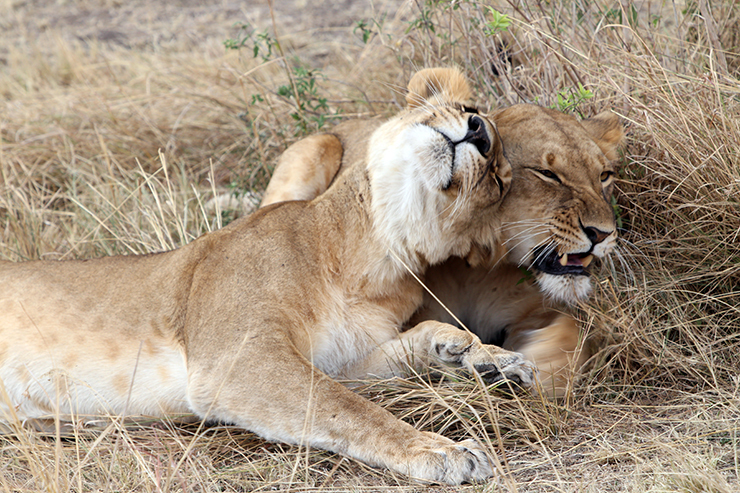 The camp’s claim as the “best game drive in the Mara” is certainly backed up by some incredible experiences. 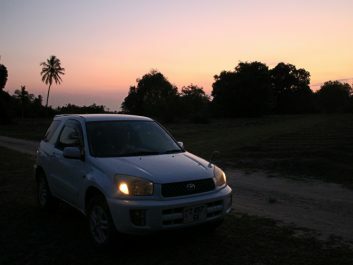 Not only did our driver know where to find the lions and other rare animals, but he also managed to get us into great spots, with the light in the right places, to get those all-important photos. They also have great open sided safari vehicles allowing great visibility in all directions as well as keeping well ventilated throughout the day. They do have rain covers and a retractable roof if needed too. We saw many closed sided vehicles with overheating passengers aboard, jostling for a good spot to see the wildlife. 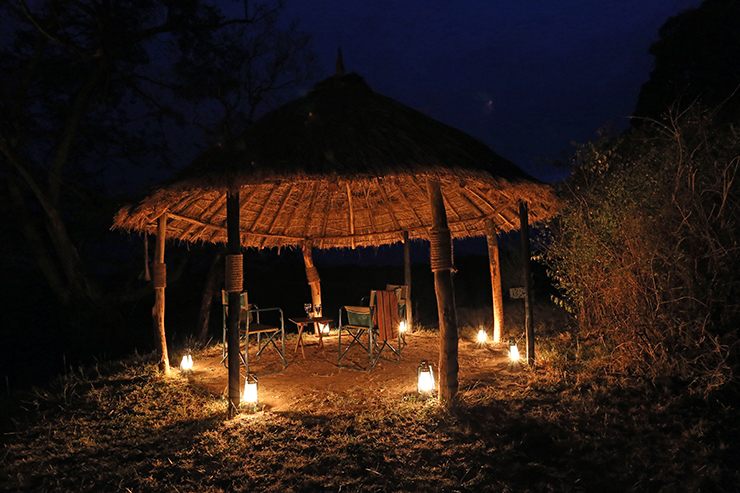 Whilst the camp itself doesn’t offer much evening entertainment, after dinner we took a drink down to the camp fire to spend time exchanging stories, listening to the African wildlife all around and learning about the Masai Warriors that protect the camp. 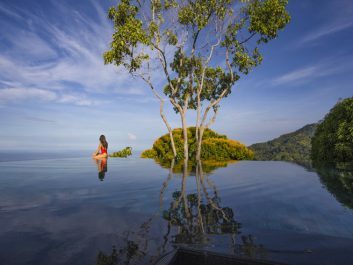 From our private veranda we could watch the stars and Milky Way silently drift across the sky before turning in for the night. 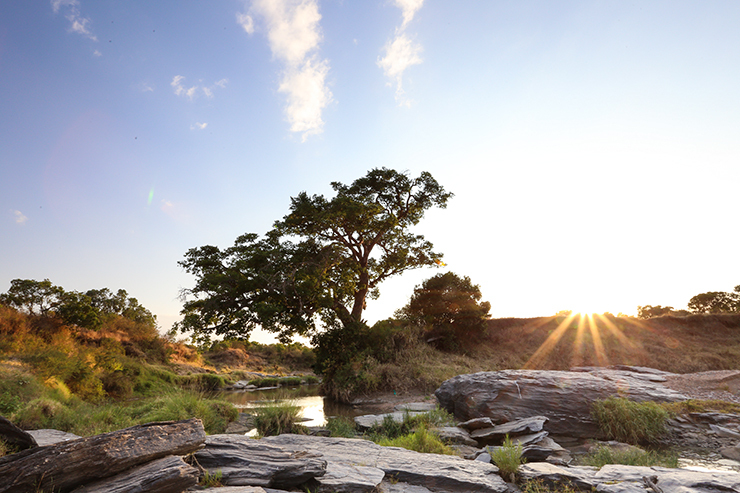 Our experience at Julia’s River Camp was fantastic due to the fact the Great Migration was on our doorstep. 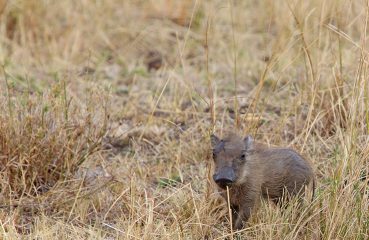 The camp is open all year round but we would advise checking where the migration is when planning a trip. However, we are sure that Eric could find you zebra, lions, elephants and giraffes at any time of year! 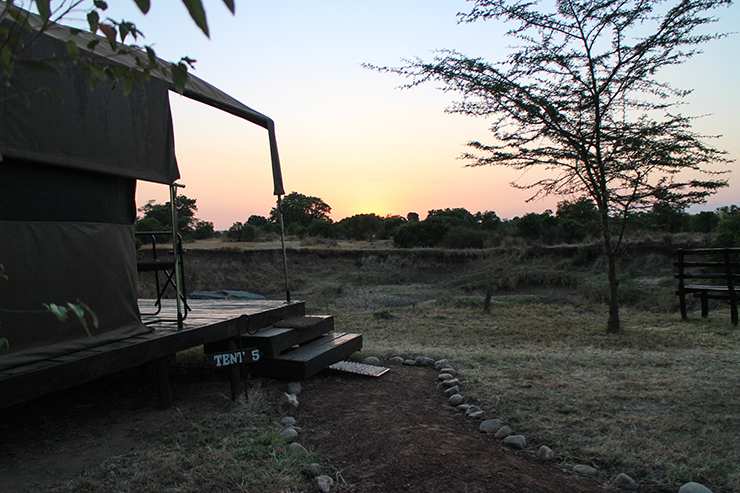 The camp’s Masai surroundings create a couple of logistical problems such as there being no mains power in the tents. This means charging all electronic devices (phones, cameras and laptops) has to be done in the mess tent overnight. 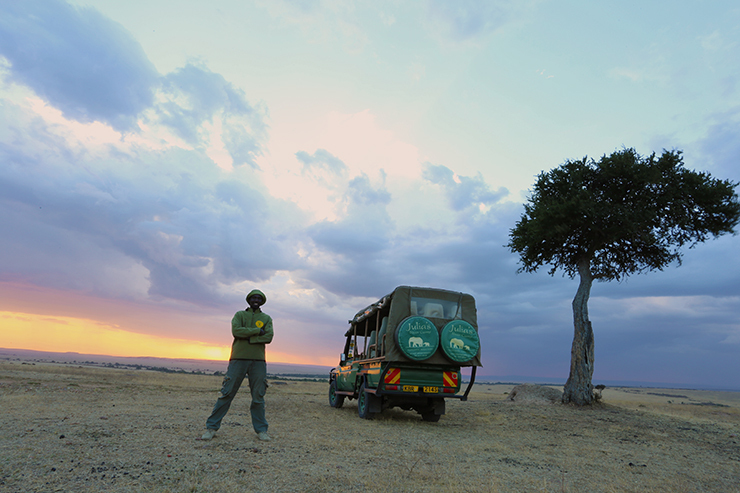 However, the safari jeeps are equipped with plug sockets so you can charge you items during the day whilst on safari. The camp does not have wi-fi but as most of our days featured day long adventure filled safaris and large dinners, we didn’t spend much time surfing the web. Kenya does have 3G coverage and data add-ons are available through your phone plan. 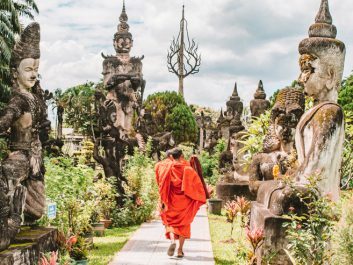 We used our Skyroam to provide us with personal wi-fi if we needed it. At night the camp is very quiet and calm making you feel close to nature and away from the stresses you’ve left behind at home. Each tent is powered by solar lighting and the outdoor areas and mess tents are lit by gas lighting, which are incredibly pretty and romantic… we would just advise anyone travelling with their family to warn the kids they’ll be having a couple of days off Pokémon go. 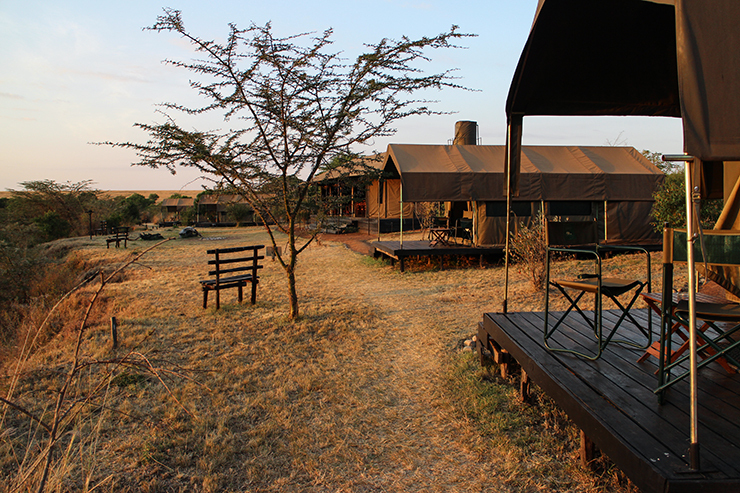 A wonderful, perfectly located camp with exciting and awe inspiring game drives, and good food. 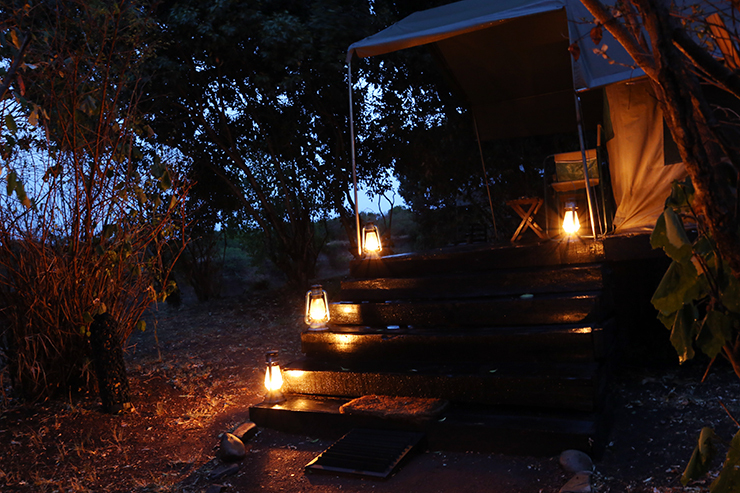 Julia’s River Camp offers high quality accommodation and great service to give you outstanding value for money. 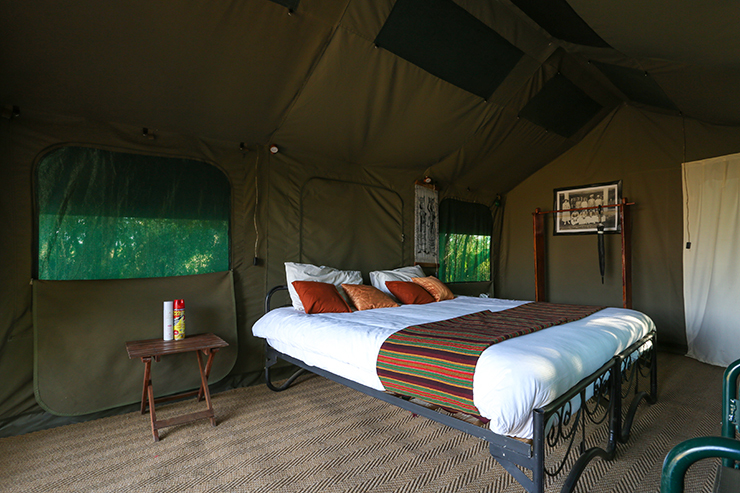 Whilst the camp offers three different price brackets regarding accommodation and game drives, we would strongly recommend the ‘VIP Game Package’ which includes the bigger tent, king size bed, waterfall shower, all meals and drinks including breakfast overlooking the Talek River and the spectacular sunrise views over the river when you wake up in the morning from your private veranda. Julia’s River Camp is available to be booked here: http://www.juliasrivercamp.com/ or follow them on Facebook, Instagram and Twitter. 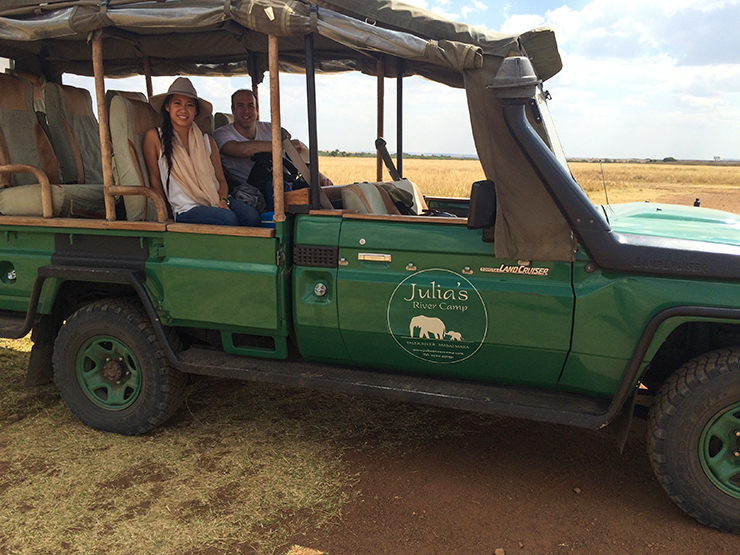 Everything that we experienced at Julia’s River Camp and saw with them on safari exceeded our expectations. From the service, food and tents, we enjoyed every moment. We’d like to thank Julia’s River Camp and Kananga International for sponsoring our amazing stay. However as always our opinions are always honest and our own.